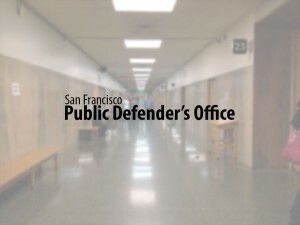 San Francisco, CA – A 20-year-old man charged with first-degree murder in a fatal stabbing that occurred during a street brawl was found not guilty yesterday after a four-week trial. The stabbing occurred during a November 2005 melee that erupted in front of a house party in the Oceanview district of San Francisco. The victim had come to the defense of his girlfriend, who was involved in an altercation with other females, when he was assaulted by a group of young men. During the fight, which involved 12-15 people, the victim was fatally stabbed. However, only one person, David Dorsagno, was arrested and charged. At trial, Dorsagno maintained his innocence, while Assistant District Attorney Robert Gordon III presented witness testimony from twenty-one individuals, including partygoers and persons personally involved in the attack. No physical evidence or DNA linking Dorsagno to the stabbing was presented. The knife used in the attack was never recovered. Deputy Public Defender Mark Jacobs was successful in exposing the biases of the prosecution witnesses on cross-examination, many of whom misrepresented their own involvement and had motive to scapegoat Dorsagno. One witness denied under oath to discarding a shirt laden with the victim’s blood, only to be contradicted by the sworn testimony of another who said that the former witness did attempt to dispose of evidence. Both of these witnesses were given immunity by the prosecution for their testimony. According to Jacobs, “The shocking thing about this trial was how much the witnesses lied. They were caught in lies, they admitted to lying, they lied under oath.” Testimony from independent witnesses supported the defense’s version of events. The jury deliberated for 45 minutes before reaching its unanimous verdict.